Between meetings, projects and events at my new job – I am busy! Recently, I came up with a genius (also crazy – but aren’t most good ideas a little crazy) to add a short workout into my daily routine. It has been amazing! I’m squeezing 16-20 minutes of core workouts into my day and I’ve seen great results! My clothes fit better, I can feel my core muscles coming back and I found a workout I always have time to do. A daily workout will do you good. I was speaking with a co-worker recently and he told me about his lower cholesterol success. He joked the only change he’s made is attending our company-sponsored exercise classes every work day for a year. His cholesterol dropped 63 points! He adds the exercise class as a scheduled daily appointment and never misses it. You’re more likely to exercise if you make it an appointment. 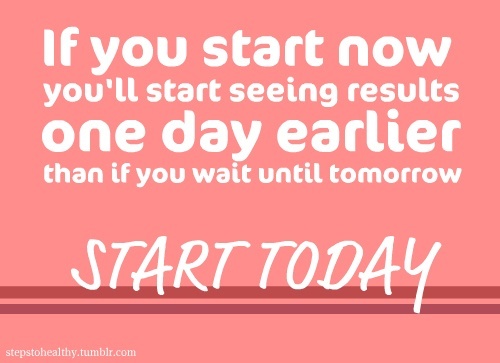 Your health is important, schedule it and make it happen.